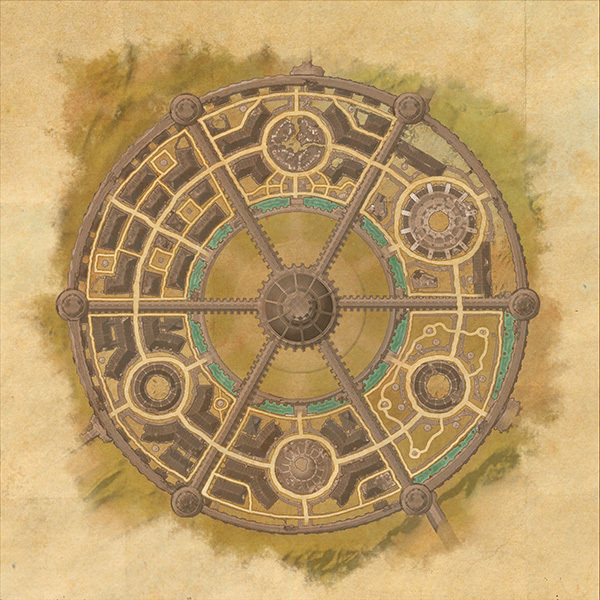 The Imperial City is a new zone located in the centre of Cyrodiil. The Imperial City is a hybrid PVP and PVE zone. The new zone adds 9 more SkyShards, a bunch of new quests, 2 new Group Dungeons, 23 new crafted item sets and a huge Public Dungeon. The Imperial City will be released on August 31 for PC/Mac, September 15 for XBox and September 16 for PS4. The Imperial City will also be available to test on the Public Test Sever in late July for PC/Mac players. More information about Update 7 is at Update 7 – What We Know. All of the new item sets can be found at Imperial City Item Sets. The Imperial City will be sold in the Crown Store for 2500 Crowns. ESO Plus members will have access to the Imperial City for free as long as they have an active subscription. The entrance to the Imperial City is through the Imperial City Sewers. 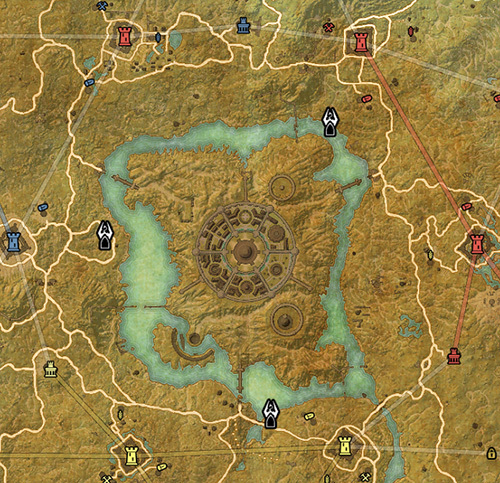 The Alliances each have their own entrance close to the centre of Cyrodiil near the lake (Lake Rumare). In order to access the Imperial City your Alliance must control all 6 home keeps – these are the 6 keeps closest to your Alliance. All three Alliances can gain access to the Imperial City at once if they all control their home keeps. ZOS will test different requirements of entry on the PTS such as requiring at least one enemy keep, requiring the majority of keeps and even free access to all Alliances regardless of keeps. The results of the PTS testing will make it to live. To get to the City Sewers for the first time you can take a quest from a captain next to the Grand Warlord of your Alliance. Aldmeri Dominion: Captain Mulamurr and Captain Sireril. Daggerfall Covenant: Captain Durida and Captain Veranim. Ebonheart Pact: Captain Alesace and Captain Rythe. The Imperial City Sewers is a network of tunnels and corridors underneath the Imperial City. The City Sewers are not a district of the Imperial City itself but lie beneath the Imperial City and provide a massive central location for PVP and PVE. When you first arrive at the Imperial City (if your Alliance controls all home keeps) you will first come into one of the large sections of the Imperial City Sewers. You will arrive in your Alliance safe zone where there are merchants, banking services, crafting stations and Tel Var Stone merchants. You can also access the actual Imperial City above by climing ladders in your Alliance safe zone or the ladders scattered in the Sewers themselves. The Imperial Sewer network contains many perils including new Xivkyn Elite Guard, wandering bosses and many daedra – as well as enemy players. There are a bunch of Daedric Leaders in the Sewers to fight, these are like World Bosses and might need a few players to be successful. In the Imperial City you can collect 14 Nuggets of Charcoal of Remorse to make one Charcoal of Remorse which is the new Xivkin Motif. Xivkin means Imperial Daedric, and Nuggets of Charcoal will drop exclusively in the Imperial City. In order to craft a Xivkyn style item you will also need a Charcoal of Remorse which can be purchased for 100 Tel Var Stones. You can visit the Tal Var Stones page for more information including a list of things that you can buy with Tel Var Stones. Tel Var Stones are like a new currency for the Imperial City. They provide a way to trade with specific merchants inside the Imperial City for Veteran Rank 15 and 16 gear. You can earn Tel Var Stones from killing daedra and bosses you will be able to loot Tel Var Stones from slain enemy players. There are two new Group Dungeons in the Imperial City to complete. These Group Dungeons are like other Group Dungeons in ESO and will scale to your group leaders level up to Veteran Rank 16. There are Normal and Veteran modes of each Group Dungeon. This is a 4 player Group Dungeon. This is a map of the center section of the Imperial City which shows the six districts. 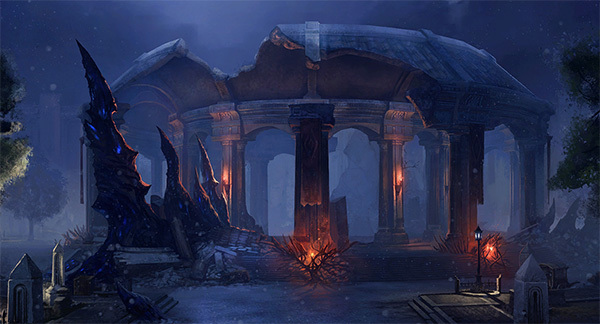 The Imperial City Districts are an open PvP area that contains the entrenched forces of Molag Bal, his elite Xivkyn army, and the corrupted Imperials – Legion Zero. The Imperial Districts have a unique story which, once completed, unlocks repeatable daily quests. Each of the six Imperial Districts features a Trophy Vault. The doors to these vaults are magically sealed by forces unknown, and you must collect 60 trophy items by killing monsters in the Imperial City in order to enter the vault. Inside the vault, you’ll find a chest full of valuable items. Be on your guard for large roaming bosses that patrol the streets! Resurrecting within the Imperial Districts will take you to an elevated platform within the District for your Alliance. This district has access to the crafting station to make this set. 5 Items: While you receive healing at full Health, heal a nearby ally for 1700 Health. This can occur once every 3 seconds. 5 Items: Interrupting an enemy causes them to take 5% increased damage over 5 seconds and heals you for 3200 Health. 5 Items: While you have an Armor Ability slotted your Max Health is increased by 5%. When you activate an Armor Ability gain 4650 Armor and Spell Resistance for 10 seconds. These buffs are on an eight hour timer and can be activated with a Tel Var Stone in a certain district of the Imperial City. It is unknown which district grants which buff at this time. Grants increased Weapon Power on all Dual Wield attacks for the blessed and nearby group members. Grants reduced cost to CC Break when wielding 2 Handed weapons for the blessed and nearby group members. Grants increased range to Restoration Abilities for the blessed and nearby group members. Grants increased Stamina Regeneration while wielding a Shield for the blessed and nearby group members. Grants increased range on all Destruction Staff attacks for the blessed and nearby group members. Grants increased range on all Bow attacks for the blessed and nearby group members. The Imperial City Trailer was released on July 15. You can find more information from the official ESO site over here. The Imperial City was shown in the trailer for E3. You can watch it below.